Born in New London, Connecticut, in 1801, Lucy Way Sistare showed early aptitude for drawing, illustration and science while attending a girls’ school in Philadelphia, operated by educator and social reformer Marie Duclos Fretageot. Though her school, Fretageot established a stable of nature artists that would influence the direction of natural illustration for decades. One of them was Lucy. Lucy Sistare was taught mainly by famed French artist and explorer Charles Alexandre Lesueur. She also received instruction from John James Audubon. Lucy met her husband, the naturalist Thomas Say, through his association with Fretageot and the Academy of Natural Sciences of Philadelphia. In 1827, Lucy married Thomas Say. Both were interested in utopian societies and natural history and they moved to the socialist colony of New Harmony in Indiana. They would live in the community until her husband’s death in 1834. While Say was away on scientific expeditions, Lucy taught school at the colony. 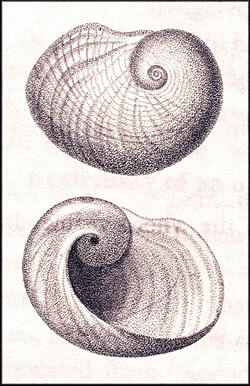 Prior to his death, Thomas Say became renowned for his studies of seashells and published a groundbreaking monograph on the subject entitled American Conchology (published from 1830-1838). 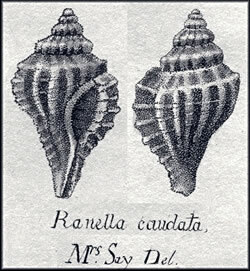 Lucy illustrated 66 of the 68 plates in the book. Lucy Say also provided drawings for other books by her husband, including three volumes on insects. 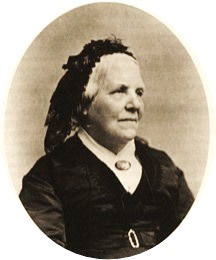 She also illustrated John Edwards Holbrook's North American Herpetology; or, A Description of the Reptiles Inhabiting the United States (1836–1840). Lucy Sistare Say was chosen as the first female member of the Academy of Natural Sciences of Philadelphia in 1841. Lucy Sistare Say died in 1886 at the age of 85.